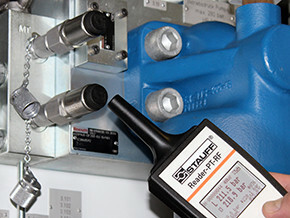 The Stauff hand held reader, transfers the required measurement energy to the transmitter using RFID technology.All that is required is a maximum distance of 1.5 cm / 0.6 in from the antenna to the tip of the pressure transmitter during measurement. 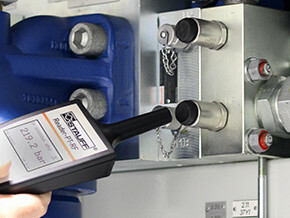 When the pressure transmitter is activated by the press of a button, a current measurement reading is made within just 0.5 seconds.It is immediately transmitted to the reader, along with other relevant information.This appears on the illuminated display and also stored. 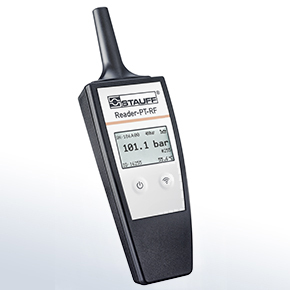 Over 15,000 of these measurement sets can be stored in the reader memory.